Islamic amulets or talismans in the form of a locket are originally called taweez or ta'wiz. 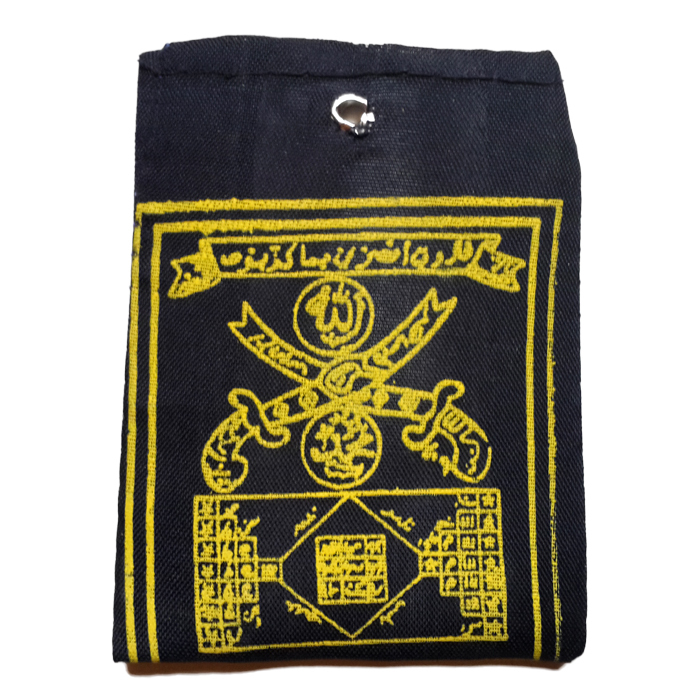 Taweez are designed for several different purposes; this taweez, however, is made for a specific purpose, namely to generate loving-kindness and tender mercy upon the wearer of the talisman. Hence, the maker of the this taweez – an Islamic mystic from Yogyakarta in Central Java, Indonesia – used a traditional set of powerful magical spells to endow the talisman with the mystical properties of compassion (raḥīm) and mercy (raḥma). 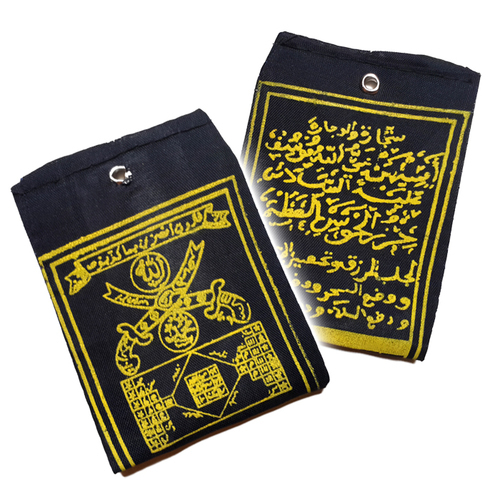 Both the front and rear face of the talisman features handwritten Islamic spells and Arabic letterings on the exterior surface of the black cloth from which the taweez is made. The cloth also conceals additional sacred contents, which are sewed up to retain the magical power of the talisman. Then there is a tiny metal loop at the top of the locket through which you can slide a cord, so that you can wear it as a necklace cord with the talisman attached. But, of course, one can also use the metal loop to hang the taweez somewhere in one's home or place of work (office, shop, etc.). 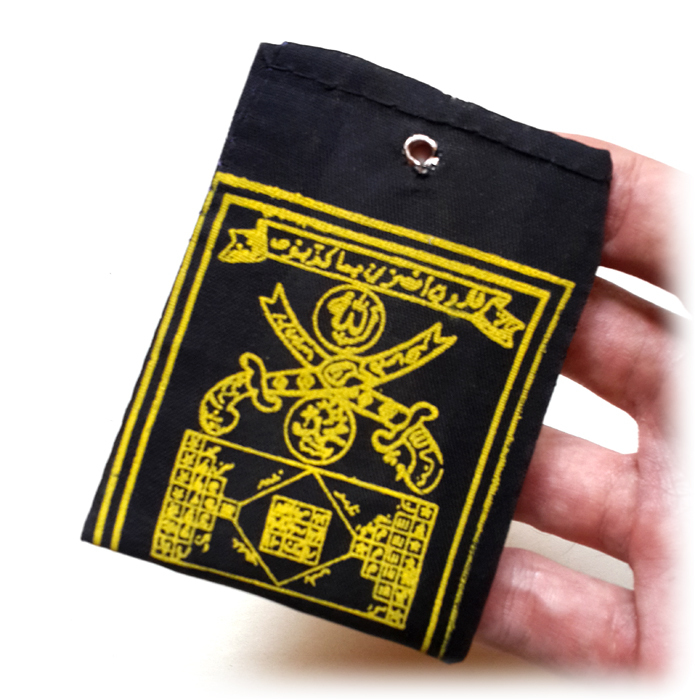 This is sometimes preferred by people who do not like to wear jewelry, but still want to wear a talisman with them; when s/he is about to leave the place where the taweez is kept, one can still bring it along in one's pocket, bag, or wallet. Traditional Indonesian amulets of this kind are considered a genuine rarity, for they are generally known to possess extremely effective magical powers. 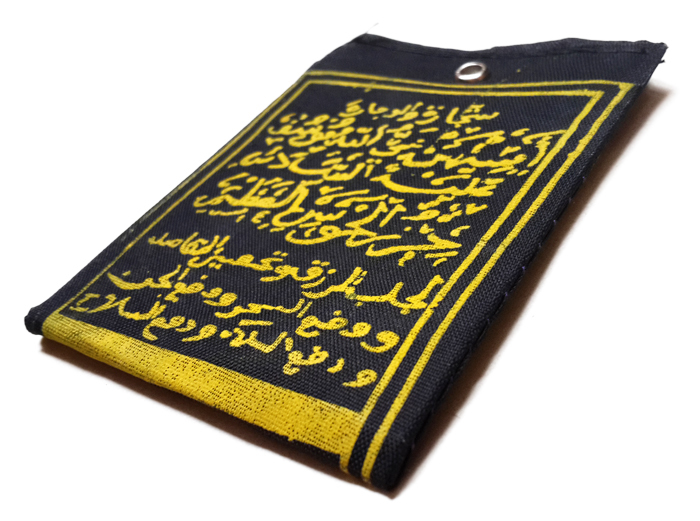 Moreover, this particular type of Indonesian talisman can be used by both Muslims and non-Muslims. Indeed, the majority of authentic Indonesian mystical objects will work regardless of a person's religious affiliation, simply because the magic used in Indonesian mystical tradition was already being practiced long before the arrival of the major world religions in Indonesia.